Yesterday I treated myself to a particularly fine jam: Hero Black Cherry Preserves. I am usually not one to endorse a particular brand over another, but this stuff is so special I’m going to make an exception. 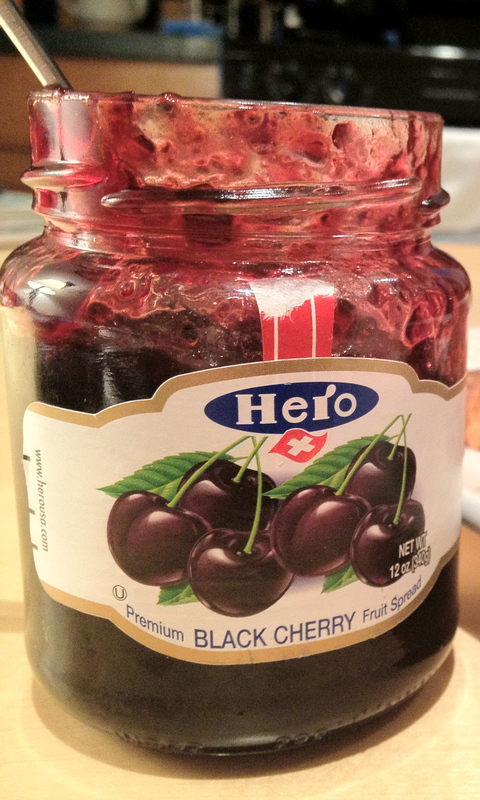 I like Hero’s jams and preserves—the apricot, raspberry, black currant, and blueberry are all wonderful—but the black cherry is unique. It’s more tart than sweet, with an abundance of cherries that hold up on hot toast, waiting to melt in your mouth at the first bite. And while I could easily consume the whole jar of preserves by the spoonful, I elected instead to spread it on a fine bread: a croissant from Balthazar Bakery (maker of some of the best croissants in NYC). I don’t live very close to Balthazar, but the coffee bar around the corner from me carries the full roster of Balthazar croissants: butter, whole wheat, almond and chocolate. 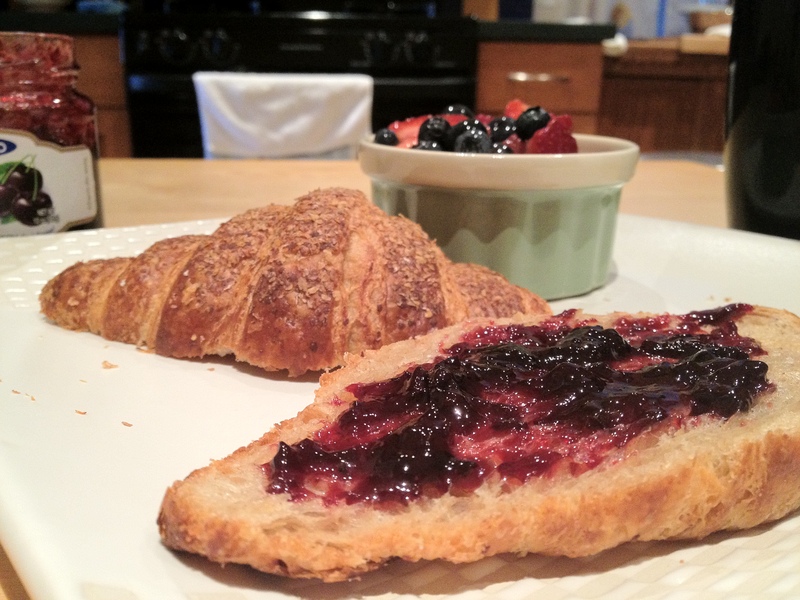 I went with the whole wheat, and gave the croissant a gentle toasting before spreading on the cherry preserves. Toast & jam—particularly whole wheat toast & jam—is my go-to comfort meal any time of the day. I wasn’t looking for comfort this morning, but I did enjoy a real treat. That’s how you start a day off right. This entry was posted in Musings and tagged bakery, Balthazar, black cherry, brand, breakfast, comfort food, croissant, croissants, Hero, jam, New York, preserves, toast, wheat toast, whole wheat. Bookmark the permalink.